Montessori education for more than 58 years. 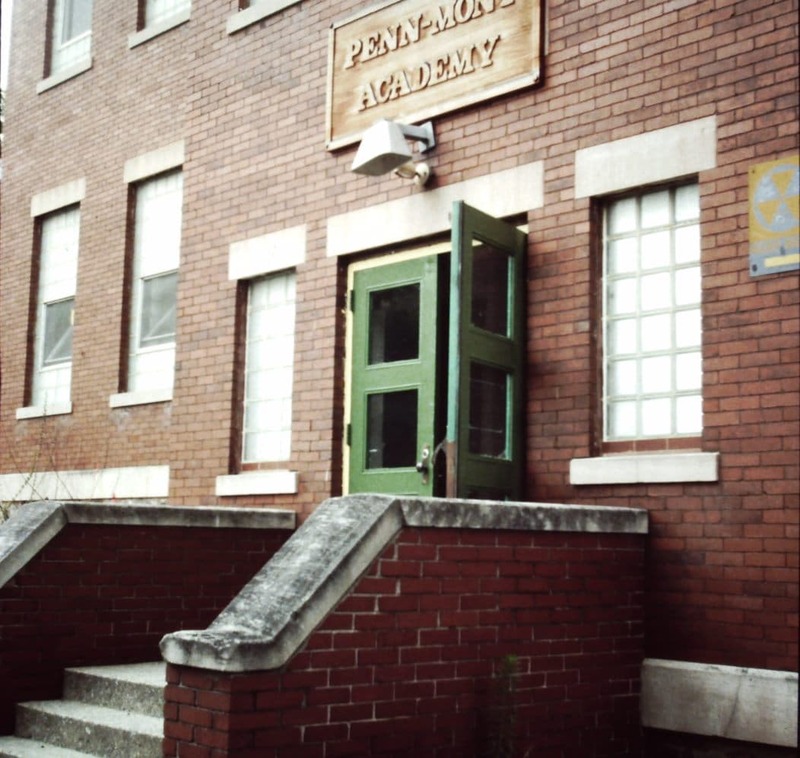 Penn-Mont Academy, a named derived from uniting the words, Pennsylvania and Montessori, was originally named Wolf Academy by its co-founders, Aline and Gerald Wolf. 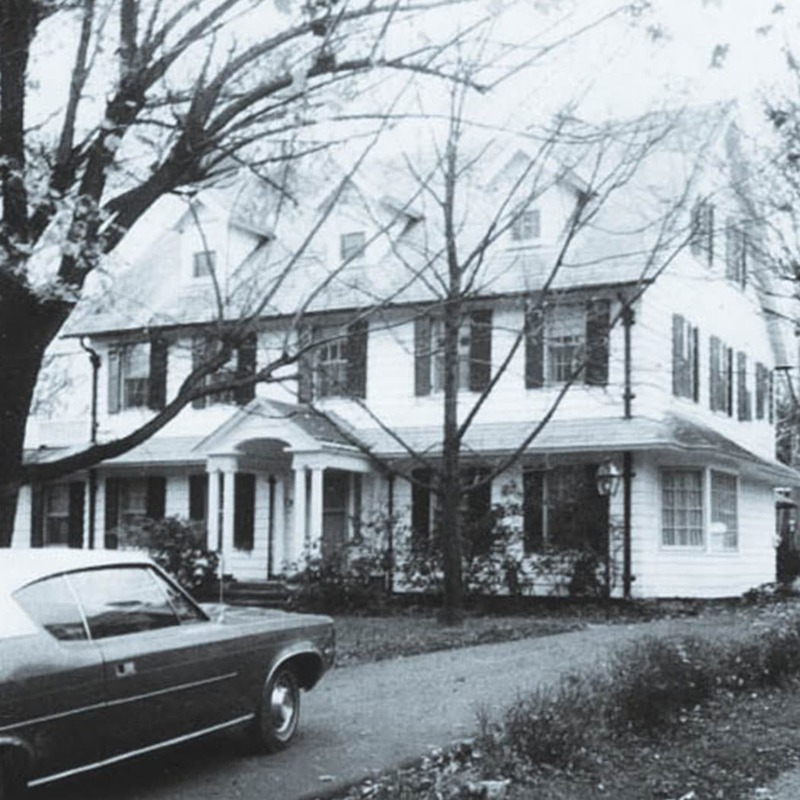 The Wolfs, with the help of Nancy Rambusch, a Montessori educator from Connecticut, opened what would become Penn-Mont Academy in their Altoona home in 1961. It was the first Montessori school to be licensed in Pennsylvania and the third in the nation. 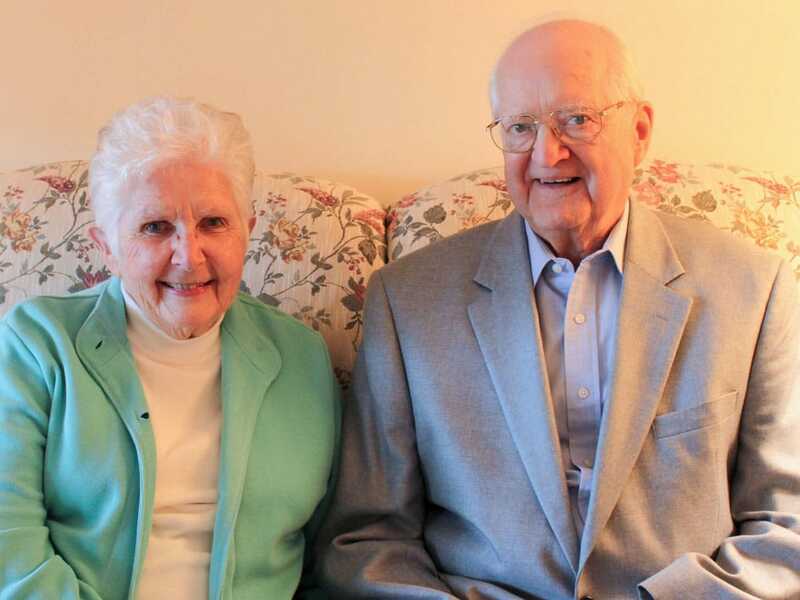 Aline and Gerald Wolf founded Penn-Mont in direct response to the limitations of traditional teaching methods they experienced in the elementary education of their three oldest children. They knew that “there had to be a better way” and found it in the philosophy and methods of the Montessori curriculum. Created at the turn of the century by Dr. Maria Montessori, this method has proven successful on every continent in the world. 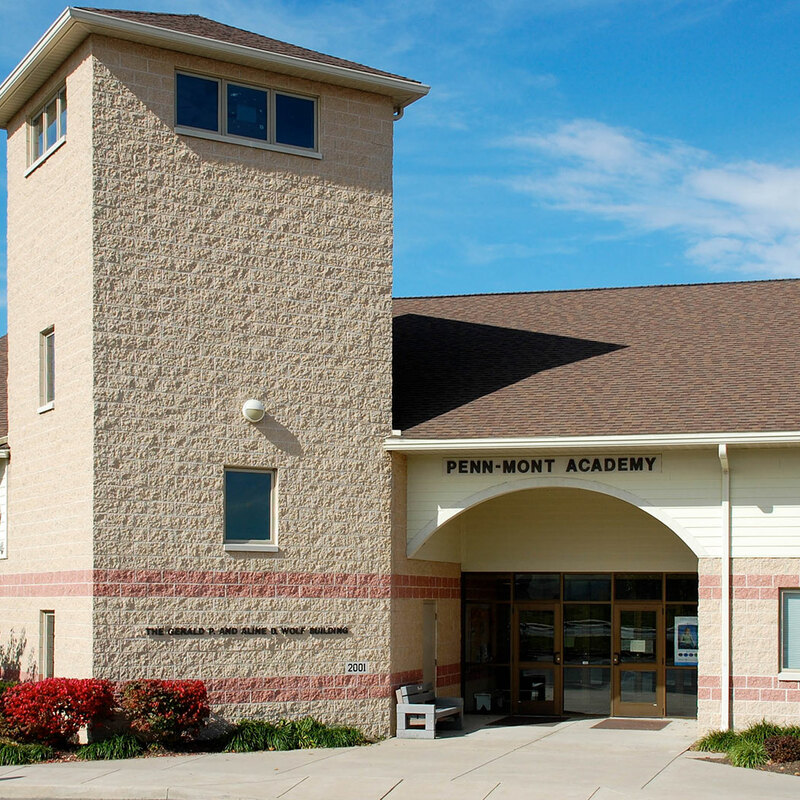 For over 58 years, Penn-Mont Academy has been providing children with a quality Montessori education. From the Wolfs’ home on Union Avenue in Altoona, Penn-Mont Academy continued to grow, moving to several locations. In 2001 Penn-Mont established its new home in a custom-designed main campus located in Hollidaysburg. This school hosts more than 275 children/students from infant through sixth grade. In 2010, a satellite at Penn State Altoona was opened to serve the needs of the college’s faculty, students, staff and surrounding community. In 2001 Penn-Mont established its new home in a custom-designed main campus located in Hollidaysburg. This site hosts more than 275 children/students from infants through sixth grade. In 2010, a satellite at Penn State Altoona was opened to serve the needs of the college’s faculty, students, staff and surrounding community. 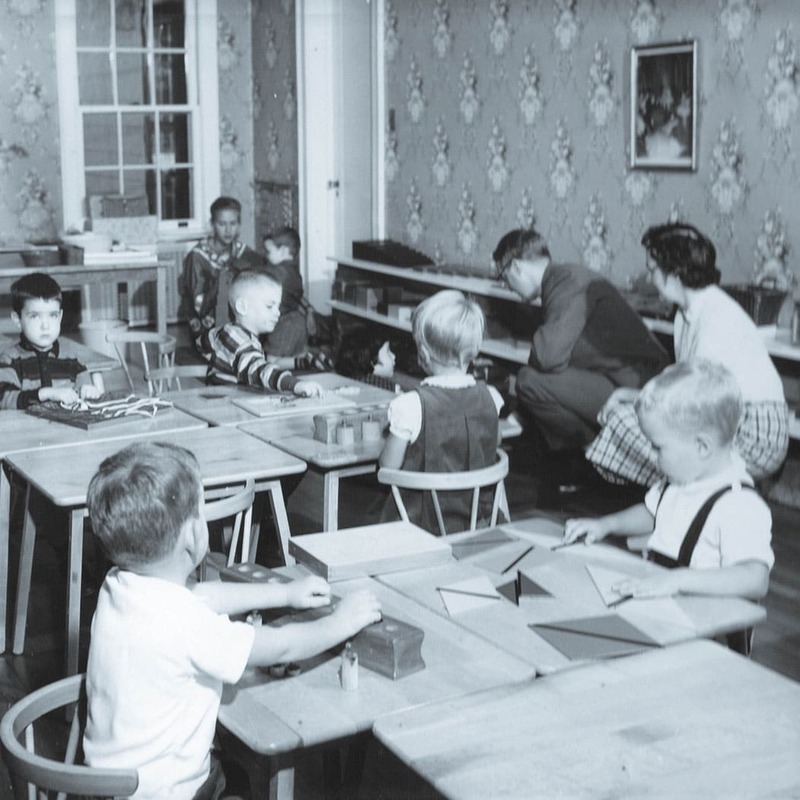 1960: Gerald and Aline Wolf invited Nancy Rambusch of The Whitby School in Greenwich, Connecticut to speak to a group of interested parents regarding the Montessori Method of Education. 1961: Named after its co-founders, Wolf Academy was opened in the home of Gerald and Aline, on Union Avenue in Altoona. Wolf Academy was the first Montessori school in Pennsylvania and the third in the nation. Two Montessori trained teachers from England, Frances Sweatman and Elizabeth White taught the 30 students enrolled - ages 2 ½ through 9 years old. 1962: A non-profit corporation was formed and operated by a Parent Board of Directors. The school was renamed as Penn-Mont Academy, a name derived from uniting “Pennsylvania” and “Montessori.” The corporation purchased the 28th Street Church of the Brethren building on Sixth Avenue in Altoona. The school was licensed by the Pennsylvania State Board of Education. 1963-64: Penn-Mont organized a Montessori teacher training correspondence course with the support of Saint Nicholas Training Centre of London, England. 1965: Eighty-five participants from all over the country, including Alaska, attended a 3-week Montessori teacher training. Penn-Mont continued with this training until 1972. 1973: Student population grew to 53. 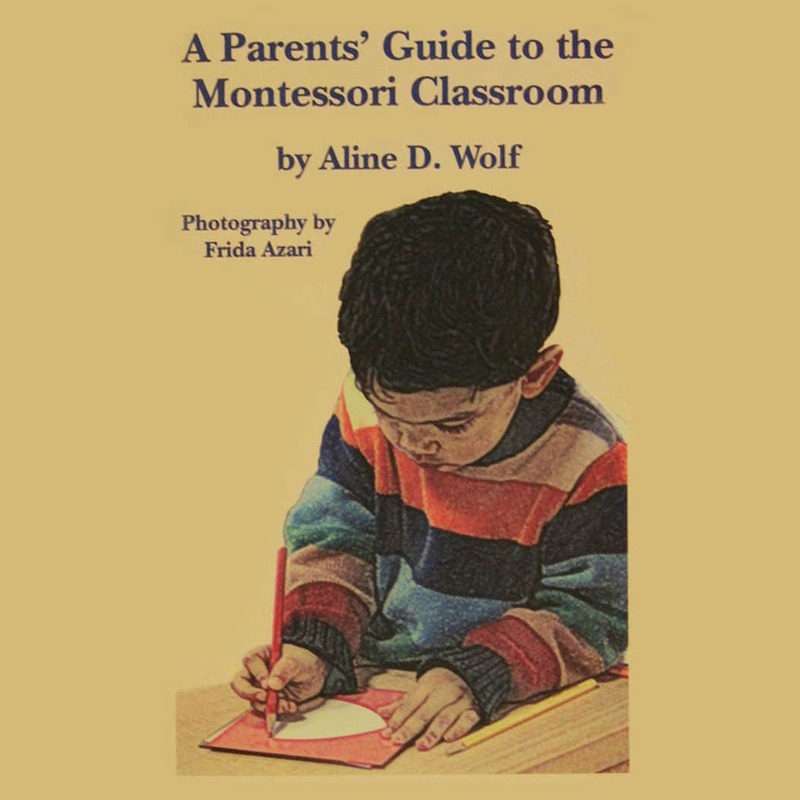 1975: Aline Wolf published A Parents’ Guide to the Montessori Classroom in response to a need to familiarize parents of students with the Montessori program. She would go on to author over 25 books in addition to this classic. Aline became highly regarded as a modern interpreter of Maria Montessori’s philosophy with her books addressing parenting, teaching, peace, spirituality and reading instruction. Her lifelong commitment to Montessori Education resulted in the American Montessori Society’s “Living Legacy” recognition as a “pioneer in the resurgence of American Montessori education in the early 1960s”. 1980: The Simpson Methodist Church at 6th Avenue and 22nd Street was rented to accommodate the growing enrollment. 1984: Penn-Mont purchased the Lakemont School building on Lotz Avenue in Lakemont. Enrollment grew to 86 students. 1986: Penn-Mont celebrated its 25th Anniversary at the Blairmont Club. 1989: Penn-Mont acted as a satellite for the Center for Montessori Teacher Education training. Administration and staff participated in a two-year program of study and each received the American Montessori Society Early Childhood credential upon completion. 1992: The Elementary program was expanded to include the Sixth Grade. Preliminary study for school expansion was begun. 1993: Mobile classrooms were added at Lakemont school to accommodate the growing Elementary population. 1994: Building Analysis & Feasibility Study was undertaken. 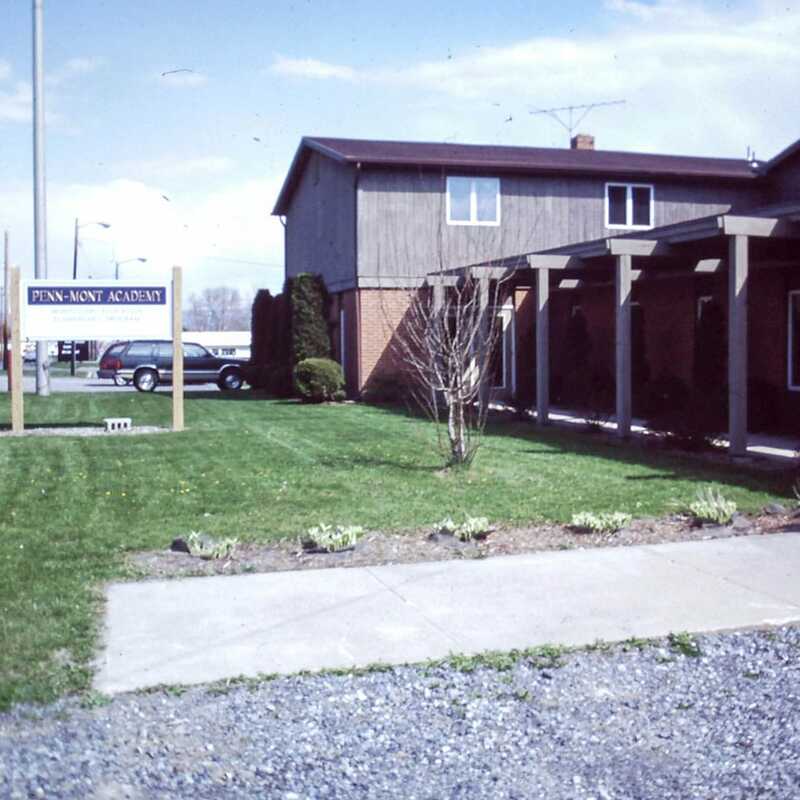 1996: The Elementary program moved to a rented facility at the Meadows Intersection in Duncansville to accommodate a growing elementary population now at 60. 1998: A satellite pre-school in Martinsburg was opened to meet the needs of families in that area. 1999: “Secure the Dream” Capital Campaign was initiated to raise $2 million to build a new school in Hollidaysburg. 2003: The Middle States Association of Colleges and Schools and the American Montessori Society re-evaluated and awarded re-accreditation to Penn-Mont. Penn-Mont renewed its partnership with the Center for Montessori Teacher Education/NY serving as a satellite location for its Early Childhood training. Ten teachers from the region attended the two year course earning American Montessori Society credentials. 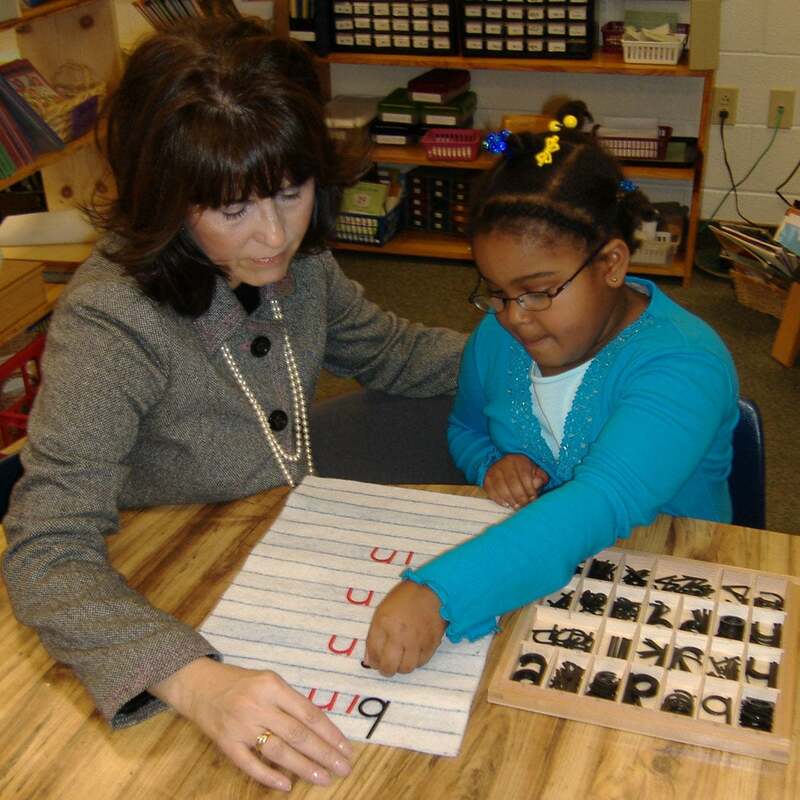 2005: Thirteen participants from three states began the second 2 year cycle of Montessori Early Childhood teacher training as the school continued as a satellite for CMTE/NY. Several Penn-Mont teachers and administrators served on the teaching faculty for the program. 2005-06: The school year began with 268 students in the toddler, preschool/kindergarten and elementary grades with before and after-care programs. A foreign language, music, computer skills, physical education and field trips were included. After-school clubs and activities included fencing, chess, art, guitar, swimming, parent-child book clubs, Spanish and Arabic Clubs. School was staffed by teachers with full Montessori certification and Masters and/or Bachelor Degrees. Forty-fifth Anniversary celebration was in the planning. 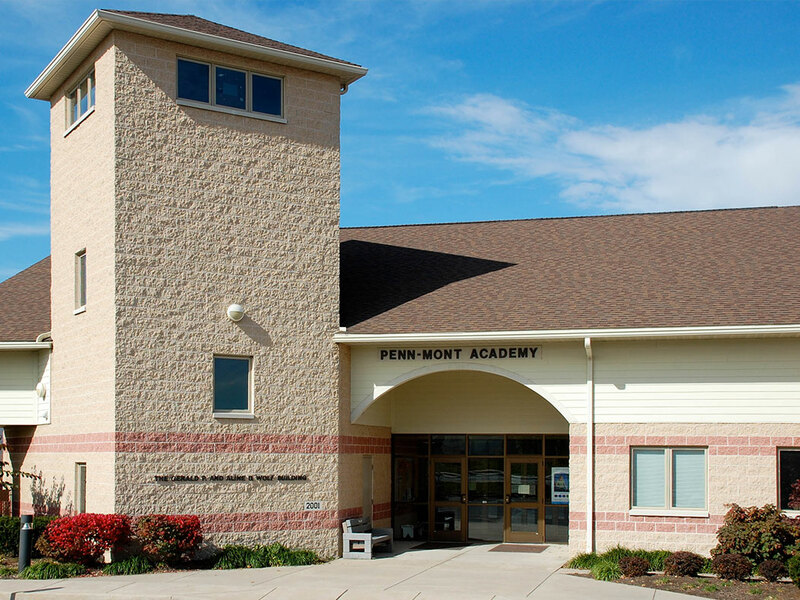 2010: Penn-Mont opened a satellite facility on the campus of Penn State Altoona in an effort to serve the faculty, staff, students and surrounding community with a Montessori program for their children. 2012-13: Beginning of the “Learn, Play, Grow….Naturally” campaign to construct an outdoor educational facility on the campus in Hollidaysburg. 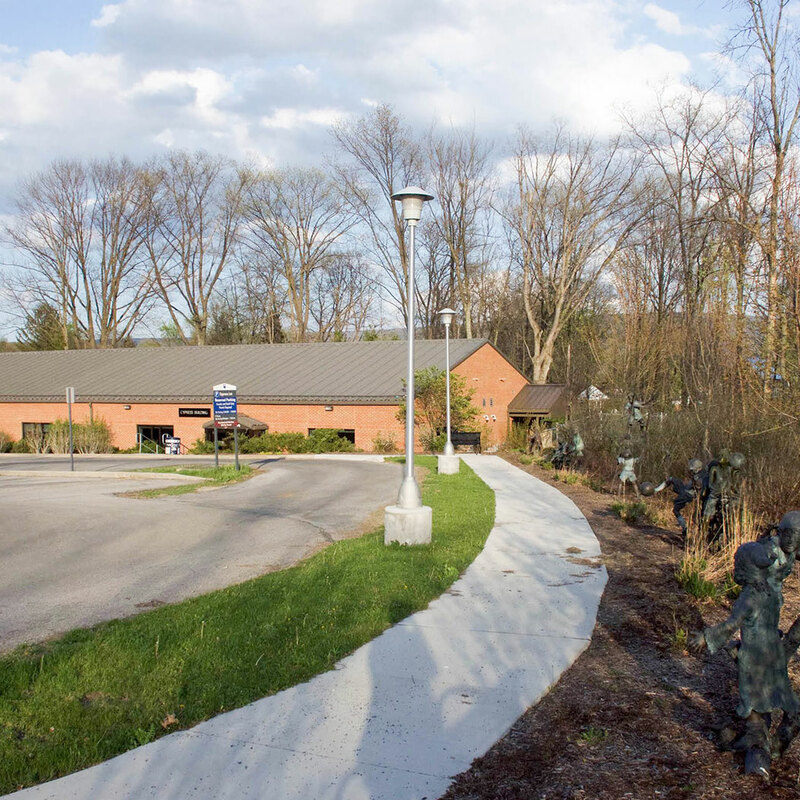 2014: The Outdoor Education Classroom was dedicated and opened providing a 2.5 acre facility for students designed with walking paths, a kite field, nature trails and an education pavilion.